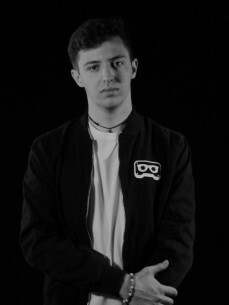 RetroVision is a 21 year old DJ, Producer and Remixer from France taking the electronic world by storm. His original music and remixes have not only been supported by hundreds of thousands of fans online but some of the most well known and respected DJ's on the planet have recently played his music at EDC Las Vegas, Ultra Music Festival Miami and on SiriusXM. We have also seen playlist support via Spotify from the likes of 360 Dance, Clublife (Tiesto), Dance Party, Electronic Brandneu, Fresh Electronic, Friday Cratediggers, Happy Dance, Hot New Dance, Main Stage, Pop Remix, Shuffle Syndrome, Spinnin’ Records Top 100, The Remix Party and The Martin Garrix Show. If that wasn’t enough, Retro has seen continued support from major YouTube and SoundCloud curators with features, premieres and releases on AirwaveMusicTV, Future House Music, GalaxyMusic, House Nation, MrSuicideSheep, NoCopyRightSounds, OnTheHouse, Selected and xKito to name but a few.